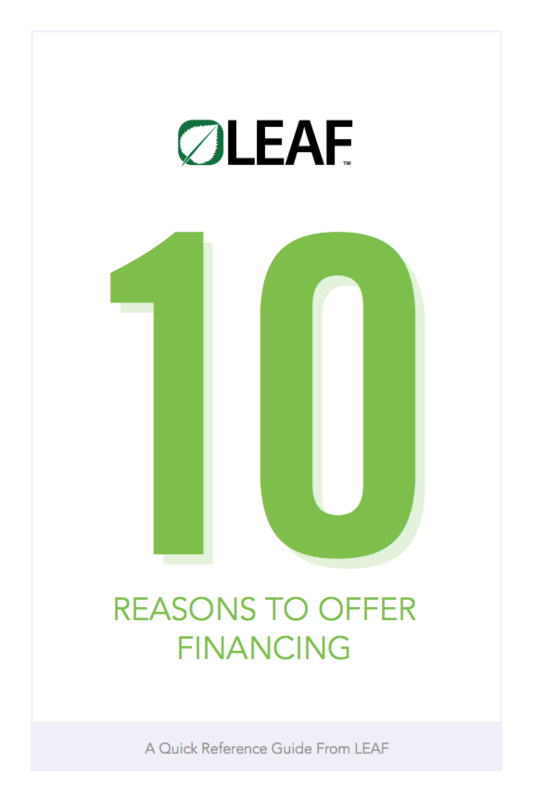 10 Reasons to Offer Financing – LEAF Commercial Capital, Inc.
LEAF’s fast, easy, flexible financing is a better way for customers to buy – and a smarter way for you to sell. Click the image below for 10 Reasons to Offer Financing. 10 Reasons to Offer Financing is part one of 20 Ways to Sell More with Financing and LEAF. Click here to read part two, 10 Things to Look for in a Financing Partner.